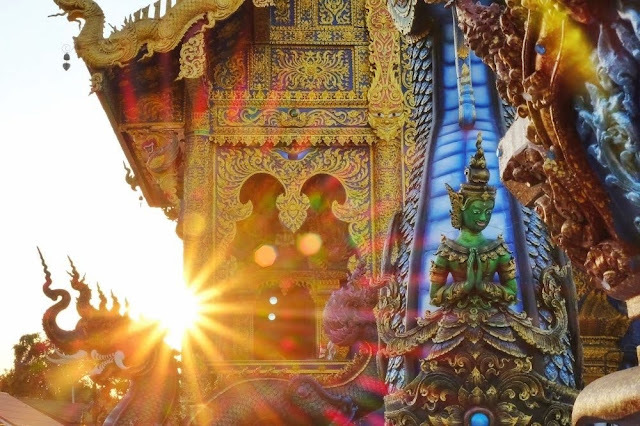 Wat Rong Khun or the White Temple is undoubtedly the most famous landmark in Chiang Rai. It's the first images popped up when I was googling some information about must visit places in Chiang Rai. 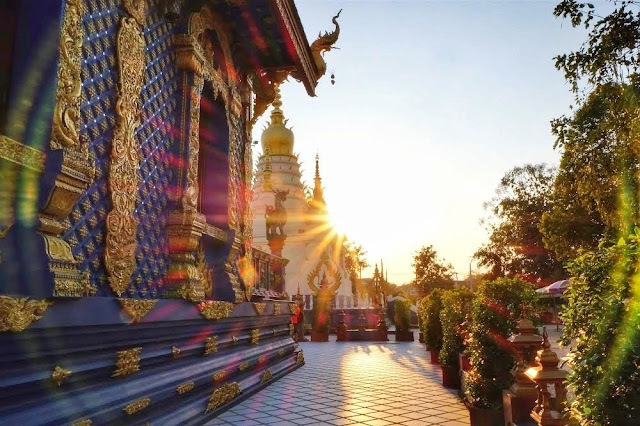 While I think the architecture is indeed stunning, my heart was actually stolen by the Blue Temple - a lesser known temple located slightly outside Chiang Rai's city centre, in Rim Kok District. The Blue Temple is about 7 km away from Mae Fah Luang - Chiang Rai International Airport. 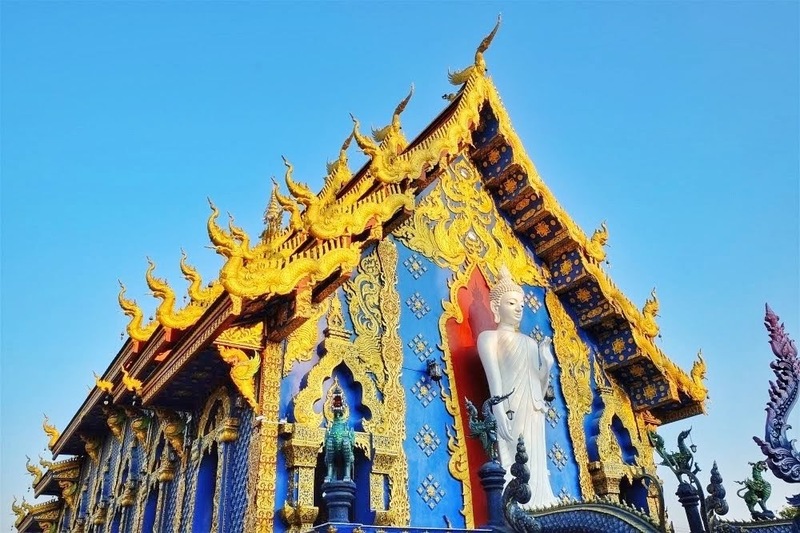 The Blue Temple or it's called Wat Rong Suea Ten by the locals is considered a new temple. Construction of the monastery and temple started from 2005 on a 6 acres area - upon the ruins of an ancient temple which abandoned nearly 100 years ago. The main hall was only completed in January 2016 and until today there's still works going on sites. Thus only a handful of visitors around when I was there, which is one of the reasons I enjoyed this temple more than the White Temple. It was so serene and enhance a more spiritual experience. "Wow! Such a striking colours!" I blurted out upon seeing the exterior of the temple which is mainly in electric blue colour (or is it Smurfs blue?) embellished with intricate gold details and covered with bright terracotta roof tiles. It certainly looks very different from any other traditional temples I have visited in Thailand. A more vibrant one I should say. A local friend told me that blue colour represents Dharma in tribute to Buddha which is also the symbol of purity, wisdom and healing. Even the pair of fierce naga (dragon) that guarding the hall's entrance are in blue colour. 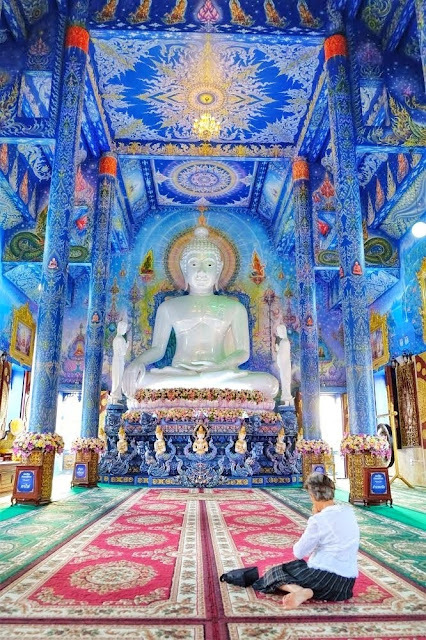 I was walking into the ubosot or the main praying hall when I froze in awe. My eyes widened as they swept across the room. 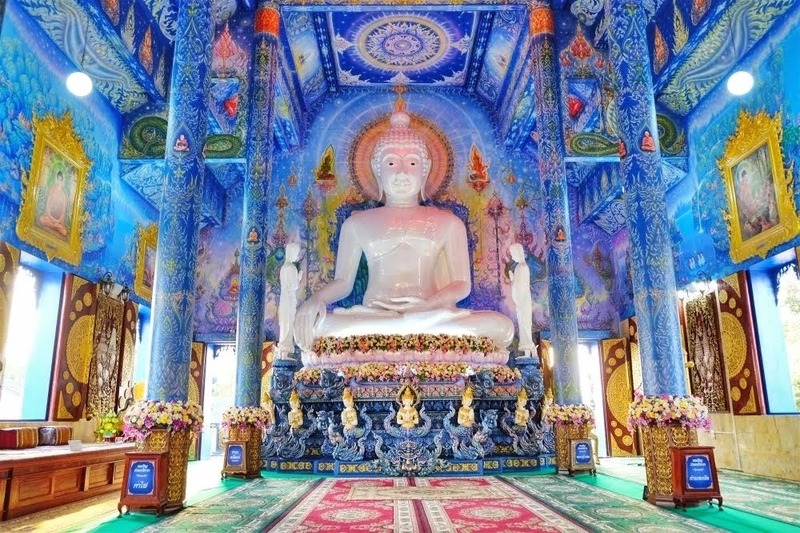 The tall pearl-white Buddha statue is undoubtedly beautiful but what amazed me more was the paintings that covers the entire walls, pillars and ceiling. Delicate paintings in Thai contemporary style was created by Phuttha Kabkaew. He is a student of the national artist - Chalermchai Kositpipat who designed Wat Rong Khun or the White Temple. 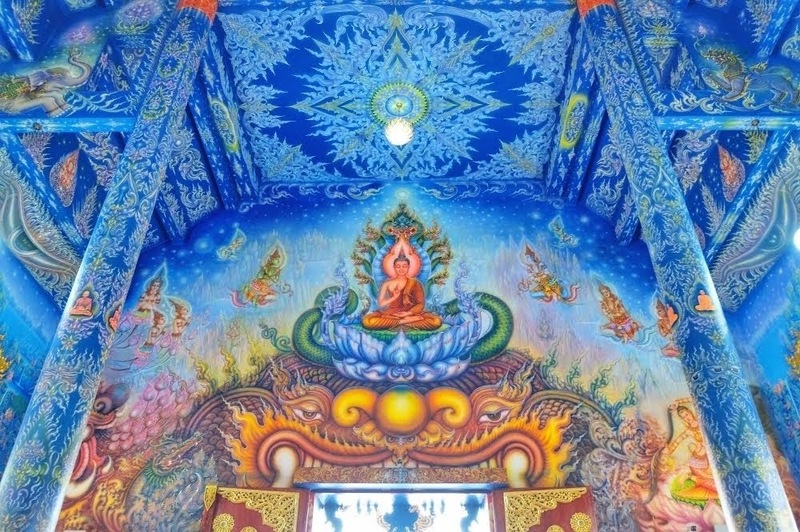 Hand painted murals along the blue walls depict the Lord Buddha's spiritual journey and also a fiery giant demon can be seen atop the exit door which depicts Hell. I love the fact that there's some huge windows along both sides of the main hall that allow natural lights and cool breezes to pass through. Around this temple I also spotted some Yakshas known as guardian warriors who keep away evil spirits. It's very common in Buddhist temples throughout the country since the 14th century. 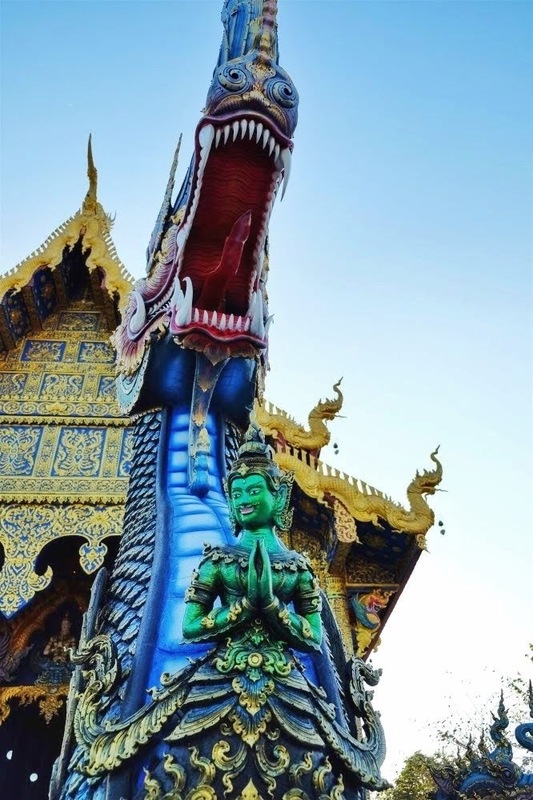 Yakshas are important element in Thai temple art and architecture. At the back of the temple, there's a Buddha statue displaying Abhaya Mudra hand position or gesture of fearlessness. It represents protection, peace and benevolence. 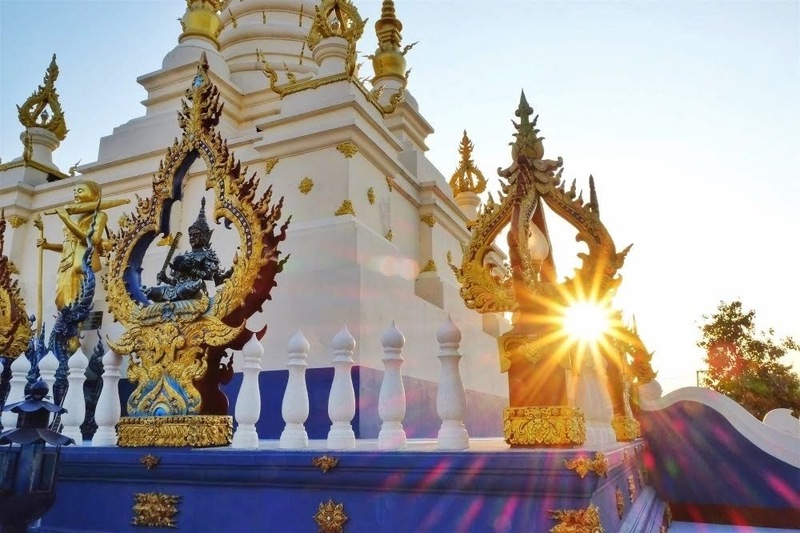 It is on my major bucket list to visit the white temple in Chiang Rai. 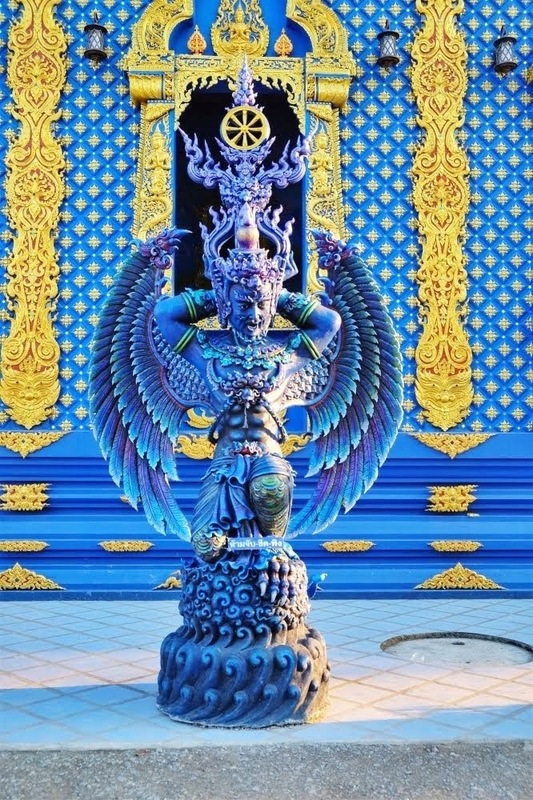 I had no idea they had a blue temple! I would be gobsmacked to upon entering the temple. I can totally relate. Bet the pristine white Buddha was such an amazing contrast to all that blue. AMAZING the blue really makes it incredible! If a little garish lol! I love Buddhist temples and this one is no exception. 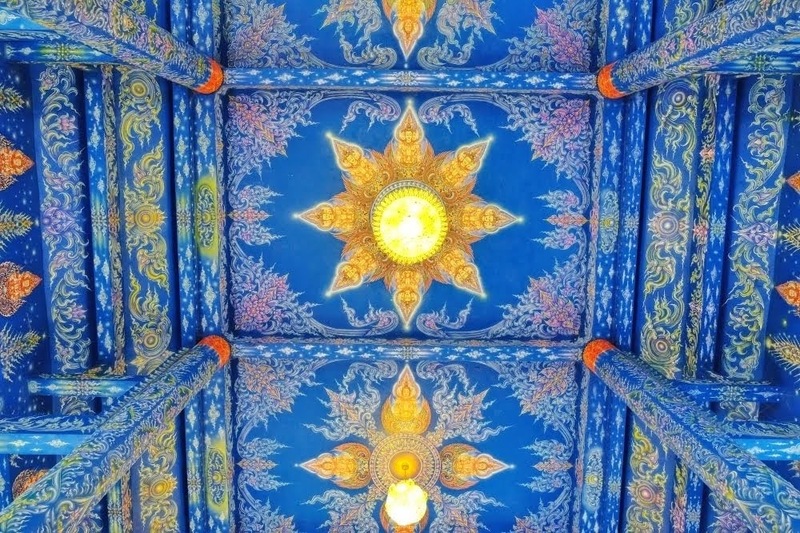 Love the vibrant colours and the intricate carvings and detailing. It must have taken the artisans so much time and effort to create this magnificent temple. 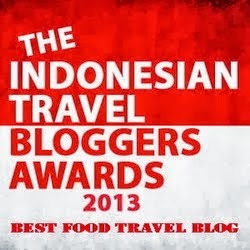 Definitely a must visit. Absolutely stunning! Though I have to admit this is the first time I heard about blue color connections with Dharma. This looks like a place out of a dream. It's so stunning! Cool to learn it is named after dancing tigers. The paintings by Phuttha Kabkaew would cause us to freeze in our tracks too. So incredible and what a work of art. Cannot believe it is free to enter here. 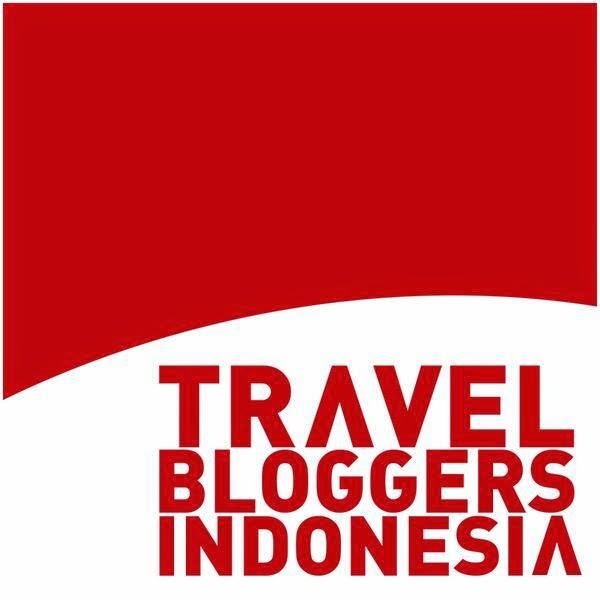 Will have to go someday! What a fantastic tour of the blue temples - I actually love seeing these temples in one color since it stands out in your mind and everything is monochromatic so there are not as many jarring colorful objects that blare out whenever you go to these Thai temples. You are right - I have only heard about the White Temple in Chiang Rai. I am sure that nobody would say that the White Temple was serene. So great to find a quieter spot. Even if you did not find any dancing tigers :-) The interior is absolutely stunning. I love all the colours. It was great that photography was allowed. Many temples do not allow it. Thanks for sharing this gem with us. 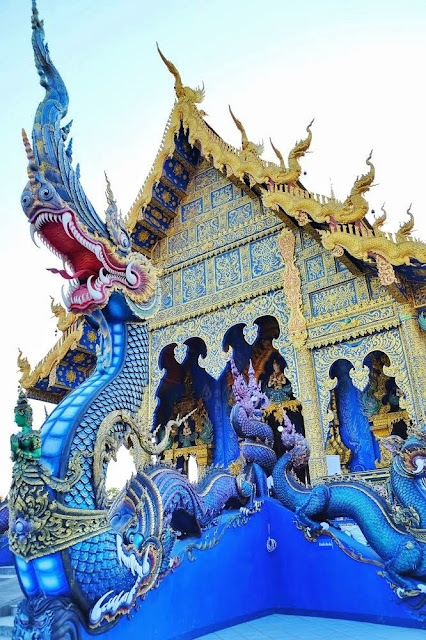 I have also only heard of the White Temple in Chiang Rai because that is the popular one but this blue temple looks equally spectacular! I love the splash of bright blue (yeah, you could call it a Smurfs blue haha). 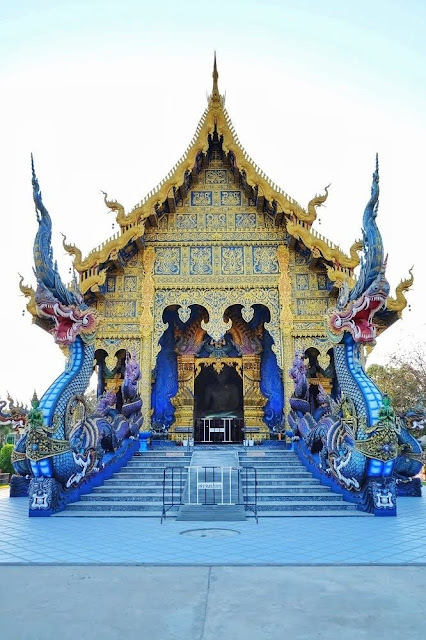 Truly amazing, I cannot wait to get to Chiang Rai and Chiang Mai and I have a new temple to add to my list of places to see! 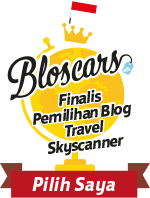 Very great place to visit, love the guardian warriors, they look pretty :) And in general it is one of Thailand's must-see temples, so interesting the history to it! We've never been to Thailand but reading this and seeing the amazing photographs are another reason why we must go. Love the pictures taken as the sun was going down behind the temple. Wow! This is stunning. I was in Chiang Rai on a day tour, but we didn't stop here, we only went to the White Temple. I never knew that the color blue represents Dharma. I love learning new symbolism and facts about Buddhism. I will be sure to check out this beauty the next time I'm in Thailand. What a breathtaking beauty! The blue gives it such a serene and peaceful vibe - this would be a beautiful place to visit at sunset. This is absolutely stunning. Missed visiting Chiang Rai when in Chiang Mai last year. Planning on heading back and this time will make it to Chiang Rai. Fantastic colors and good to learn about the colors and what they represent. Can't wait to visit. Great inspiration! Thailand is a beautiful country! I would go back to it whenever I can. Chiang Mai is absolutely beautiful. The painting is absolutely beautiful! I remember in an earlier post you also included some shots from this temple, and I thought to myself "what an impressive temple!" Glad you wrote an entire post on it, so we can see more of its brilliant interior and beautifully-ornate decorations.